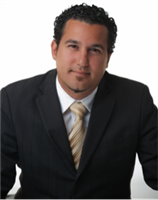 Jason Singh | Residential & Commercial Mortgage Brokers | Canada | Broker Financial Group. A company that acts in your best interests to ensure you get the home you want. What's that going to cost? We're a group of informed professionals waiting to get you into your new home. In addition to helping you get approved for a mortgage transaction, Broker Financial Group offers a variety of products such as insurance, loans, and investment services designed to best serve your financial needs in addition to other mandatory obligations. We're here to serve your mortgage needs and have what it takes to make a difference in your next mortgage transaction.